For those who do not wish to use paypal, you can use the FastSpring service below with your major credit card to quickly and securely complete your BeerSmith 3 order. For subscription levels, I do not yet have autorenew yearly as an option unless you use paypal here. You can only purchase a single year at a time here. 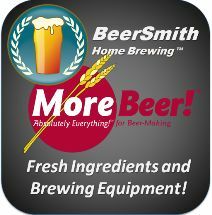 After ordering you will receive a gift code which you can redeem using the instructions provided to either add a BeerSmith 3 license or renew an existing license.